The Hungarian NB1 is gaining steam as the finish line approaches. With Haladás turning up the heat at the bottom of the table they have created quite the stir throughout the whole league. Teams were sold, managers were sacked, and lead-scoring Italian primadonnas were suspended (okay, okay … just one). Read on for all the news and previews of this week’s must-watch games. Paul: Chris, we are down to the final six rounds of the season with a lot to play for still. We had the usual 16 goals scored in round 27 with four sides failing to score a goal. Things are still up for grabs with the relegation battle becoming quite murky with Paks and Puskás added to the conversation. Hoping to avoid relegation, Puskás went so far as to fire another manager. Perhaps the situation will be a bit clearer after this round but most likely not. We will attempt to shed some light with some clever predictions. Chris: It certainly has been an eventful week in the NB1. It feels like there are deepwater currents moving through the league that have yet to surface. The sale of Honvéd was a bit of a surprise and it will be interesting to follow where the new owners will take the club. I agree that the bottom of the table has become the scene of an inevitable collision and it’s tough to take one’s eyes off of it. There’s also the fight at the other end that might cool off depending on who commits to the the cup. Interesting days ahead. Stay tuned. Read on. Paul: Honvéd showed they can be defensive and gave Mol Vidi a tough match, ultimately losing at the very end by a goal. I can’t seem to get a pulse on this squad and am usually wrong on my prediction. This really hurts but sometimes I have to go by the numbers and not what I feel or think. So in that case, and this is difficult to type, Honvéd wins. Ok I did it. Debrecen have lost their last four away matches which makes it very difficult to prognosticate any type of positive result here. I would really like to see them make it to Europe but they must get some away results to make that happen. The squad directly below them will draw three points closer with a win here. 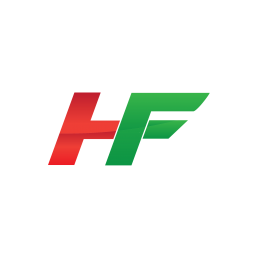 Chris: Honvéd have new owners this week and there’s already talk about replacing current manager Attila Supka with Haladás boss Ferenc Horváth. Supka is banned from the bench for three games for offensive comments made in the tunnel after their last match. Kispest conceded late against Vidi last week in a game they deserved a point from but their inconsistent offense let them down. János Ferenczi and Ádám Bódi wreaked havoc on MTK’s right side last week and will be looking to keep the pressure high in their quest for third place. Debrecen have won their last two and have created a four-point gap over fifth-place Honvéd. A defeat for Honvéd will make it difficult for them to qualify for the Europa League this summer. They handled Loki quite easily in their last meeting in Budapest but that was way back in August and I think Debrecen will do just enough to hold off Kispest with an eye to their Magyar Kupa semifinal match against Vidi next week. Davide Lanzafame pays for his unwillingness to share the spotlight at Fradi. Paul: Mezőkövesd fell apart at the end in losing to Újpest but did put up a good fight at a difficult place to play. They tend to play Fradi very tough at home and this match should be no different. Mezőkövesd have won their last two home matches and have only lost one in their last five. A win against the top Hungarian club even at home is a bit too much to ask. I have been wrong against Ferencváros so, so many times. They have been consistent the whole season and deserve to be on top and win the championship. This should be the typical “Rebrov” away match which is a win by a goal preferably in the later stages of the match. Chris: Mezőkövesd were hard done by last week at Újpest where they had a harsh, late penalty called against them and then fell apart to turn what was looking like a narrow win into a narrow defeat all in the span of a minute. Even so, manager Attila Kuttor and his staff were rewarded with contract extensions this week and will be hoping to repay that faith by staying among the mid-table teams with a win against title favorites Fradi – but that’s easier said than done. Ferencváros are cruising at the top of the table but that doesn’t mean they don’t have their fair share of drama. As I mentioned in a previous article, it now looks like Davide Lanzafame doesn’t like to share when it comes to playing time and the issue has cost the club’s leading goal-scorer a place in the side. 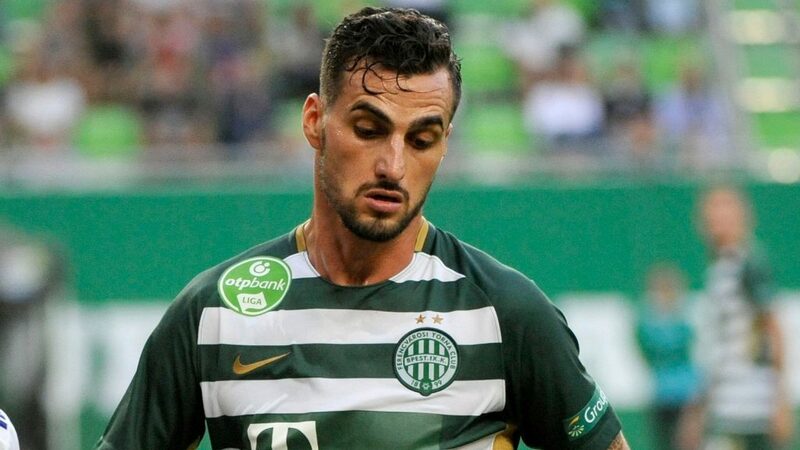 A report has surfaced that he and Ferencváros manager Sergei Rebrov have had a falling out over the matter. He wasn’t the only healthy player missing against Paks last week but Lanza has a history of having a short fuse and the club has confirmed his suspension for one week. Heister, Lovrencsics, Siger, and Gorriaran were all rested in last week’s win over Paks. Paul: Who would have thought months ago that this match would have relegation implications? Paks has lost four of their last five matches and, at this stage, it seems to make no difference whether they play home or away. Fortunately their are facing an equally inept club and will make a statement that they are not a relegation squad at all. Puskás were pummeled at home against Kisvárda so much so that they said “auf wiedersehen” to János Radoki (canned response to the firing of German managers). Will it make a difference? András Komjáti hopes to keep the squad up in the first division as he did for Vasas back in 2010. Not sure he will have the same success in Felcsút. Side note, should a club that can’t even get attendance above 1,000 be allowed in the first division? Chris: This match pits two teams who are dealing with their own brands of troubles. Paks are still trying to cope with multiple injuries and now two of their starting attackers are out as well. Both Norbert Könyves and András Simon are unavailable because of card bans this week. Puskas have now lost three of their last five and are dipping closer to the relegation line. The sacking of János Radoki wasn’t too much of a surprise as it continues the trait of a team that treats their players and staff as expendable assets with little room for failure. They’re without a trio of key players – team captain Roland Szolnoki and leading scorer Josip Knezevic are banned due to yellow card accumulation, while Bence Sós will sit after his red card last week. Puskás won 3-1 in their last trip to Paks but that was in the cup. They have yet to win at Fehérvári úti and I think Paks will continue their league mastery over them at home. 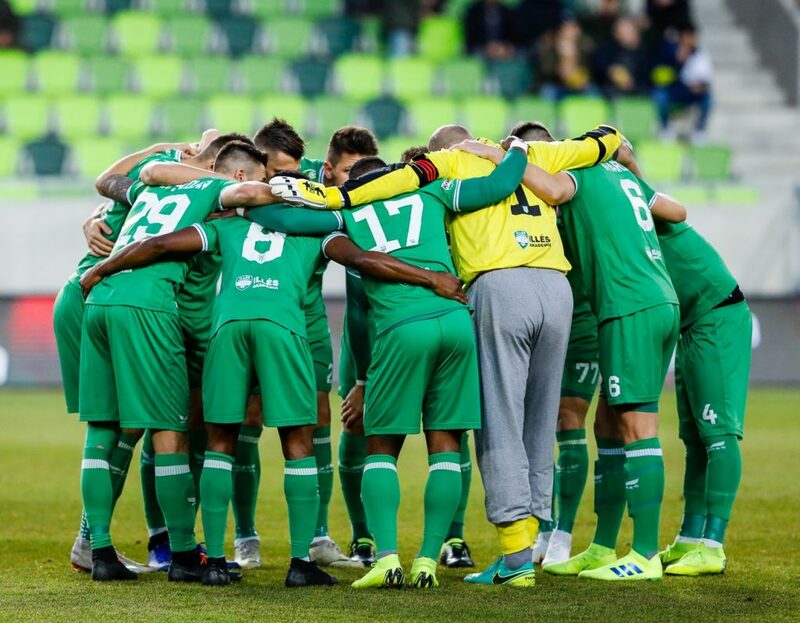 Is Kisvárda defying gravity with their spring form? Paul: I can’t remember the last time Kisvárda won a match, but maybe just maybe their four goal win against Puskás will catapult them into a winning streak to end the season. They can put some distance between themselves and the club directly below them in the table. Their home form has been terrible lately but Diósgyor are known for curing the woes of home sides. Huge loss last week for Diósgyor at home where they had been very good. Now they are back on the road and have lost their last four away matches. Relegation is looking more and more likely for the club from Miskolc. They had been making some progress under their manager, Fernando but unless their find some away “magic”, they will be a second division squad next season. Chris: This is a massive game for both sides. Kisvárda stemmed a two-match losing streak with an impressive performance in a 4-0 win over Puskás. Despite that being their first win since early February they are playing some really good football against the top half of the table. Diósgyőr have lost three in a row overall and four in row away from home. Both teams will be playing for their NB1 lives and there should be some desperation – especially for Fernando who’s suffered on the wrong end of three consecutive one-goal defeats and will want to stop the bleeding before they sink even further. Their last two meetings ended 1-1 and that would be a safe bet here as well. Is it too late for Haladás to make a run for safety? Paul: Haladás are playing very well at the moment having won four of their last five matches. Rui Pedro has led the charge and wouldn’t it be something it the club could continue their rebirth and have their first division hopes come down to the final match of the year? The revival continues with a win against MTK. MTK came back to reality with a resounding defeat at Debrecen. They will continue their poor way form and have only won once in their last five away matches. This is a case of two clubs going in opposite directions. Based on current form, I don’t see a good effort today from MTK. Congratulation to József Kanta who made his 300th first division appearance last week for MTK – truly a rarity in football these days. Chris: Haladás got good news this week as Gábor Király’s 3-match suspension was reduced to just two games. He’s already served both games and is available for this match, but co-leading scorer Tamás Priskin is out due to yellow card accumulation. Even so, this team is playing out of their minds and this is a massive game against a team that’s been struggling of late. Rui Pedro has become a consistent danger man for Hali in recent weeks. MTK have lost three of their last four games and will be up against it when they face Haladás in Szombathely. They are also dealing with a large number of players suffering from gastroenteritis. MTK requested to postpone the match because the sickness has affected 2/3rds of the squad but Haladás and the MLSz declined. I can only see one winner. Paul: Does it seem like Vidi always plays the last match of the day? Regardless, this should be another good match. It’s important for MOL Vidi to take care of business here ahead of next week’s battle with Ferencváros. This should be a defensive match with a goal deciding it. Újpest found a way to win ugly last week with three points being the major objective. I see them giving Vidi all they can handle and leading most of the game before falling apart to lose by a goal. I see this being a reversal of their match last week against Mezőkövesd. Chris: Vidi are fighting a battle on two fronts and one can see why they might rest some players ahead of their Magyar Kupa semifinal first leg match against Debrecen next week. However, as we’ve seen all season long, Vidi manager Marko Nikolics has done very little rotation all season even when his side was in the Europa League. The loss of Marko Scepovic leaves them searching for a target up front – something that Marko Futács has yet to prove he can do consistently. The former Hajduk Split striker has just one goal in eight games for Vidi. Újpest will miss midfield maestro Obinna Nwobodo who looks to be out for an extended period. They have been consistently strong in the back and have found the majority of their offense from penalties and/or flukes in recent weeks. This “should” be a classic but I’m not expecting any fireworks in Székesfehérvár.